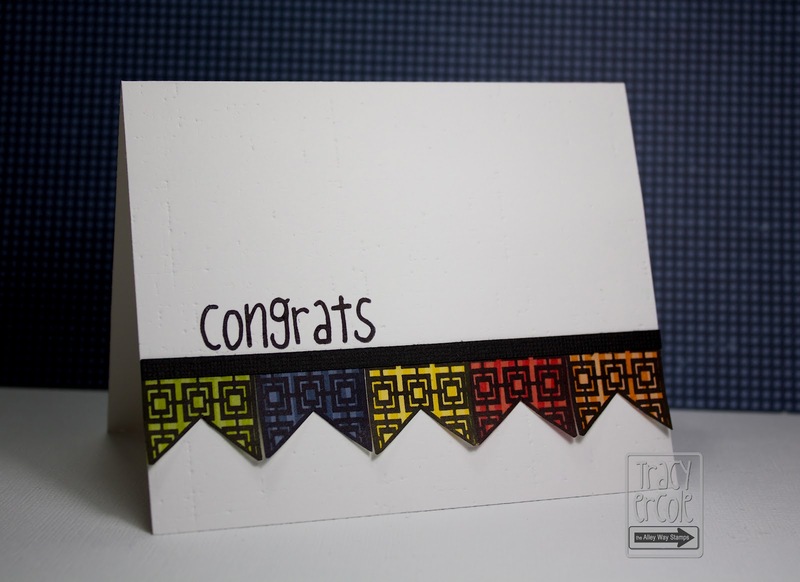 It's time for another BE Inspired challenge with The Alley Way Stamps. What a colourful and happy challenge picture! I made a CAS card using the bright colours from the picture. I stamped an image from the stamp set, Get the Point? onto patterned paper and used a sentiment from the Jibber Jabber set. To enter the challenge you must use one of the Alley Way Stamps but don't worry if you don't have any, you can find the freebies here. Head to the TAWS blog to get all the details (including prizes! ).